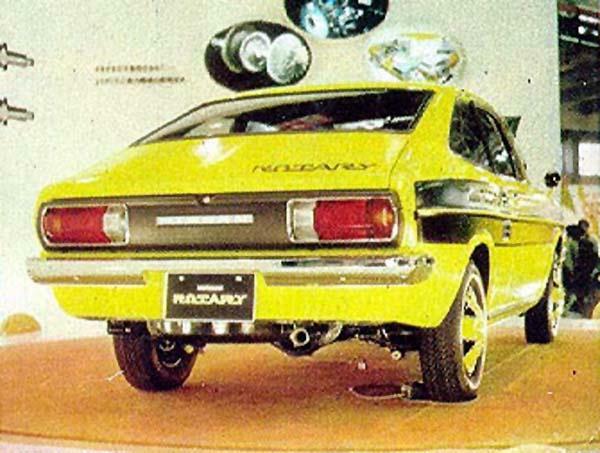 Nissan‘s interest in the rotary engine started in mid-1965 and culminated in a prototype Wankel rotary engine vehicle at the 1972 Tokyo Motor Show. It was one of among many automakers (others included GM, Mercedes-Benz, Citroen, and Porsche) experimenting in the revolutionary new design. Sadly, however, it never reached production. 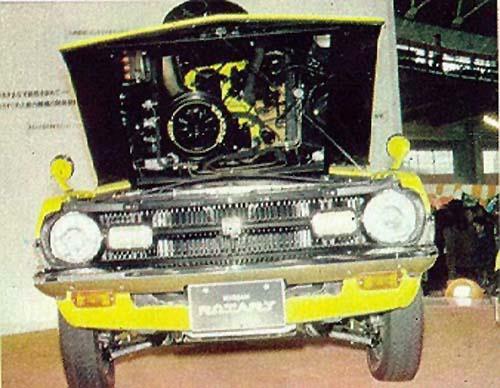 Under the hood of the Datsun Sunny RE prototype was the rotary engine used to advance the development of Nissan’s “own” new rotary powerplant, which was based on technology from the NSU Wankel corporation. The swept volume displacement was 2x500cc rotors each, using peripheral ports (as the NSU and unlike Mazda’s preferred side-ports), two plugs per rotor and a four-barrel carb. 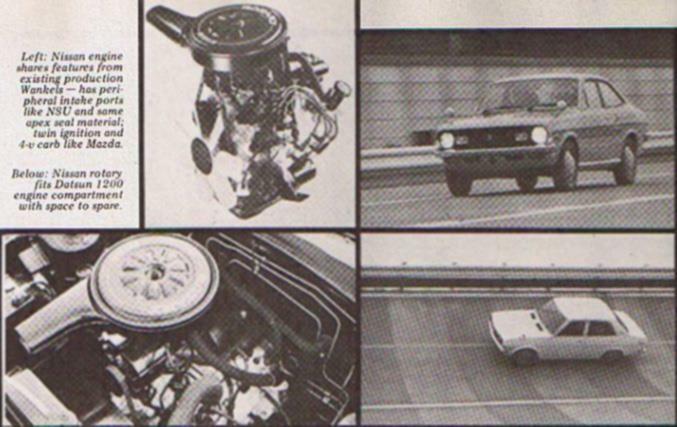 This combo netted 120 horsepower and raised the top speed of the Datsun 1200 to 112 miles per hour (175 kph) or 25 mph (40 kph) more than the original 1200cc four-cylinder. 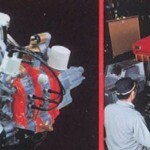 Nissan was setting up production facilities with the intention of producing 3,000 rotary vehicles per month with either five-speed manual or three-speed auto. 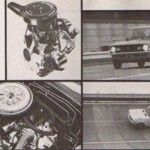 Also, a bit more obscure piece of Nissan RE history is the fact that the Silvia S110 (sold in United States and Canada as the Datsun 200SX and in Mexico as the Datsun Sakura) and available as a two-door hardtop coupe and three-door hatchback, was originally intended to feature a rotary engine. The resulting RE unit was fairly unreliable and forestalled production. 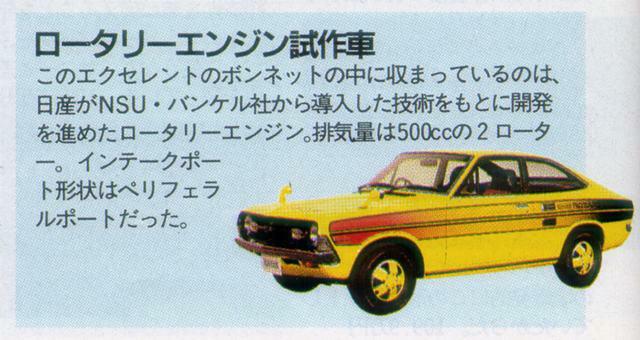 Coincidentally, both the Sunny B110 and Silvia S110 shared a chassis code with the Mazda Cosmo Sport 110S, the first Japanese production car to feature a rotary engine. 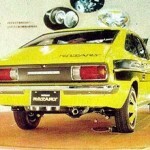 Check out some of the articles about the Nissan Sunny RE prototype below. 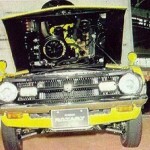 tagged: 200sx, b110, datsun, datsun 1200, History Lesson, mazda, nissan, rotary engine, s110, silvia, sunny, wankel. I so very much wish this would have happened! Competition in the market place drives research and development to new heights. Look at Honda racing motorcycles in the 1960s. The 2 strokes were dominating the sport, so Honda developed more and more insane 4 strokes to compete. This culminated in the unbelievable RC166: a 250cc, DOHC, inline six that made 60 hp! This technology pushed their engines to unprecedented levels and Honda has been number one in the game of high revving, high horsepower, naturally aspirated engines for a long time since. Just imagine, if Nissan had released the Sunny RE and it had been a hit. 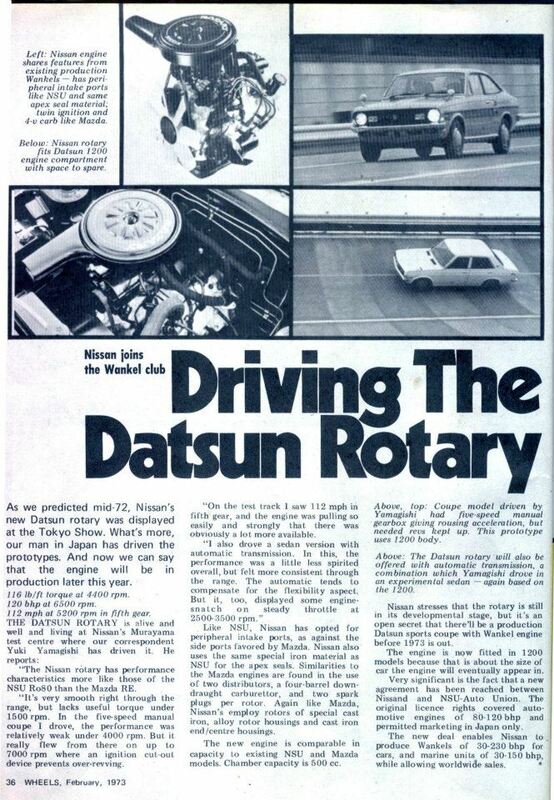 Then Nissan would further develop the rotary to compete against Mazda and Mazda would have to step up their game to keep Nissan from taking the lead. Imagine the rotary engines that we would have today! 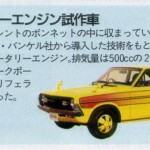 Although, if Nissan had made a Sunny RE, I would have to own one, which means I would have to spend money I don’t have. So maybe it’s for the best. 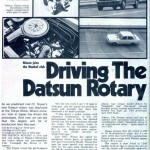 …with the Mazda Cosmo Sport 110S, the first Japanese production car to feature a rotary engine. 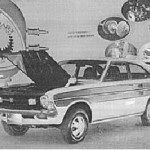 The car was redesigned shortly after it was released and the Wankel power plant was replaced by a line of conventional piston engines. Hmmmm… This is certainly not what happened for the Cosmo! What could have been. We shall only wonder. I’ve always said the Rotary will never be successful with only one company doing R&D on it. Time and time again Mazda’s rotaries have had major technical issues. The latest being the RX-8 getting its engine’s warranty extended to 100k miles with a lot of them being replaced. My Uncle’s failed the compression test, they did the “fix” then around 90k he had it tested again and it failed so it was brand new engine time. The rotary design is very interesting and I’d like it to be successful but you just can’t catch up with the years and amount of R&D that goes into Piston based designs as a single company. rotary engines have many flaws. They put out a lot of power , but for a short time . They have a nasty habit of loosing compression after a short jaunt .If well maintained and properly used , they work well . 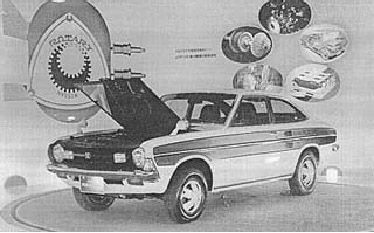 Well, as with all rotary programs but Mazda’s, an interesting concept killed by the oil crisis of 1973. This was an interesting piece of history that we had always heard of, but never researched. Glad all enjoyed. It would’ve been very interesting if at least one other manufacturer had taken on the challenge of Rotary Engine development. Apologies on the Cosmo comment of taking on a line of piston engines… that was missed by our editor, me! It certainly was not the case as Limesub so astutely pointed out.